For many counselors at America’s Finest Summer Camps, their experience as a camp counselor is also their first experience in the workforce. 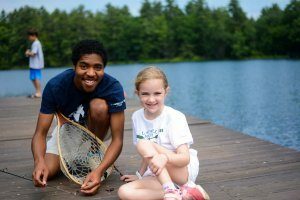 Many counselors have the opportunity to spend the summer on one of the nation’s most beautiful campsites, enjoying all of the classic sleepaway camp adventures, and get paid for it. Their first job is not spent waiting tables or washing cars or serving coffee, but instead spent shaping the lives of kids and teens and learning valuable life skills they can apply to their future careers. A first job is a milestone in any young adult’s life and is an opportunity to learn responsibility, time management, teamwork, and commitment. It teaches the value of hard work and gives the individual ownership over the money they make. The attitude towards an after-school or part-time job can be that of reluctance, as young adults sometimes feel that a job gets in the way of their social life. However, for the lucky few who get to be summer camp counselors for their first job, it’s a different story. Working as a counselor doesn’t feel like work, because it is fun. Counselors are in charge of inspiring and motivating campers to try new things. They get to be in on the action as campers score goals, put on plays, and explore. 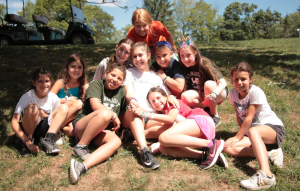 They facilitate friendships, teach camp traditions, offer cures for homesickness and an ear to listen. They are role models for campers and serve as the big brothers or sisters that many campers have never had. They are responsible for making sure campers are safe and responsible, that they get where they need to be and do what they’re supposed to do. They are in charge of teams of people and are required to be effective communicators for camp to run smoothly. If this isn’t a training ground for the world’s best leaders, we’re not sure what is. The skills counselors learn during their time at camp easily roll over into other aspects of their lives and prepare them for the future. However, the job of the counselor is not confined to working with campers. Counselors also interact with a team of other counselors and staff, providing countless opportunities to foster their communication, teamwork, listening, and leadership skills. With so many counselors and staff at camp each summer, each counselor has the opportunity to learn how to work effectively with people with different ideas, backgrounds, communication styles, and personalities. If you can work with hundreds of kids all summer and a handful of other counselors, what can’t you handle? If your idea of an ideal first job is clocking in and out of a business that you aren’t passionate about, to work alongside people you’re not crazy about, a job at America’s Finest Summer Camps is not for you. However, if you love the idea of changing lives, singing songs, eating s’mores, swimming, dancing, and connecting with people from all over the world all summer, and getting paid for it, we’re ready for your resume.